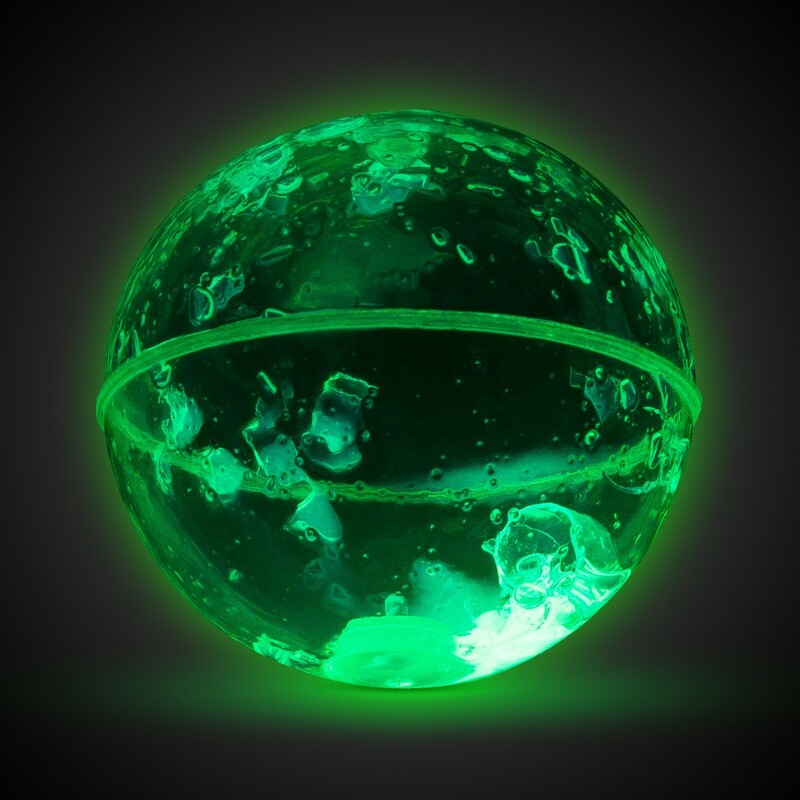 Bounce this large bouncy ball really hard until the glow capsule within cracks and breaks open causing this unique bounce ball to glow brightly for 4-6 hours! 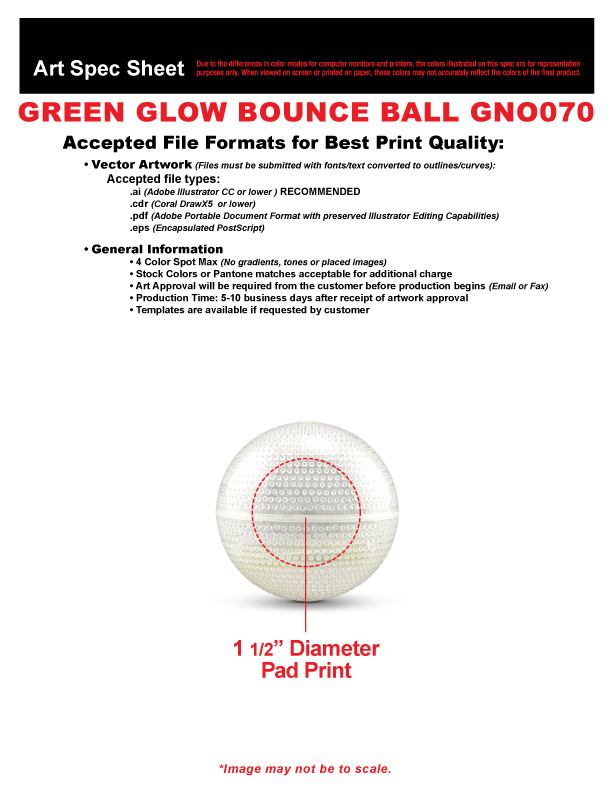 This 3" Green Glow Bounce Ball makes an excellent hand out as a glowing party favor at Birthday parties or as a prize, too! 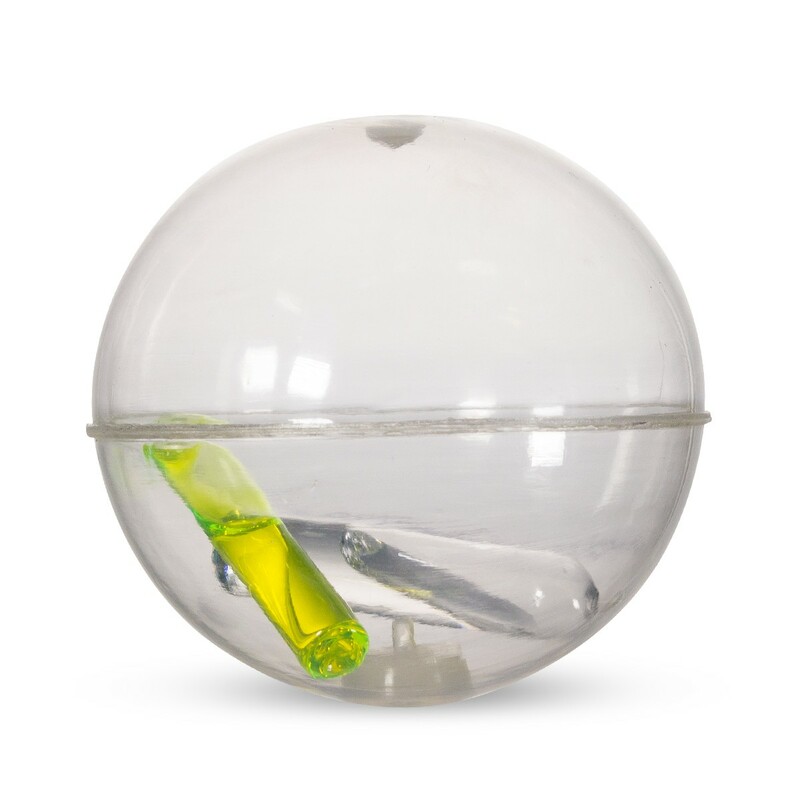 Use this cool glow bounce ball as a stocking stuffer, too! Play late into the night with this cool green ball. Glows one time only. Above pricing includes a 1 color imprint in 1 location. For all imprinting add a Set-up fee of $55 (v). For each additional location and for each additional spot color add a Set-up fee of $55 (v) and a running charge of $.50 (v) per color, per location. Imprint Minimum is 192 pcs. Repeat set up fees apply. Call for details. Repeat set up fees apply. Call for details. Imprint Method: Pad Print Only. Production Time: 5-10 business days after receipt of artwork and approval.